UK customer insight solutions provider encompass corporation has partnered with European analytics firm Bisnode to offer information and customer onboarding services to financial institutions in the Nordic region. Bisnode, a partner of Dun & Bradstreet and its D&B Data Cloud, uses analytics and scoring models to predict customer behaviour and deliver other insights, and boasts more than 2,100 employees. encompass was founded in 2012 by entrepreneurs Roger Carson and Wayne Johnson and produces 'Know Your Customer' (KYC) decision-support software for the banking, finance, legal and accountancy sectors. Both companies have in-depth experience of working with KYC managed service providers and utilities, and the announcement follows a recent series of high-profile money laundering cases which have left 'banks and other financial institutions in the region seeking to strengthen their defenses by raising AML and KYC compliance standards across the whole industry', according to the partners. The deal promises solutions helping to 'reduce the spiraling costs of customer onboarding and lifecycle management' - and speeding up the onboarding process; to improve compliance standards, transparency and auditability; and to improve the value of the data used for both onboarding and CRM. encompass CEO Johnson comments: 'Both encompass and Bisnode actively invest in innovation to ensure our products and services remain at the cutting edge of the industry, so that we can help customers to continuously upgrade and streamline their compliance processes'. 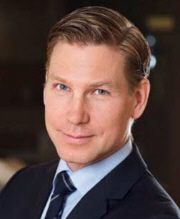 Bisnode CEO Magnus Silfverberg (pictured) says the partnership is a natural fit, 'since the highest quality data is absolutely key to effective KYC'. Web sites: www.bisnodegroup.com and www.encompasscorporation.com .